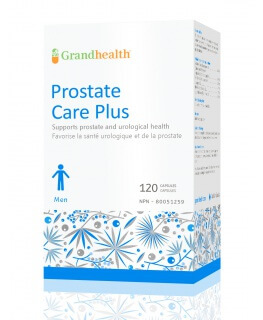 Sabalasan® Prostate 1 which is a potent Saw Palmetto fruit (Serenoa repens) extract that's equivalent to 2280-3840mg of berries and is traditionally used as a male reproductive system tonic. It helps to relieve mild to moderate benign prostate hyperplasia (BPH) with a reported 40% symptom improvement in only 8 weeks. Also, it helps to enhance sexual drive and satisfaction and erectile and ejaculatory function. 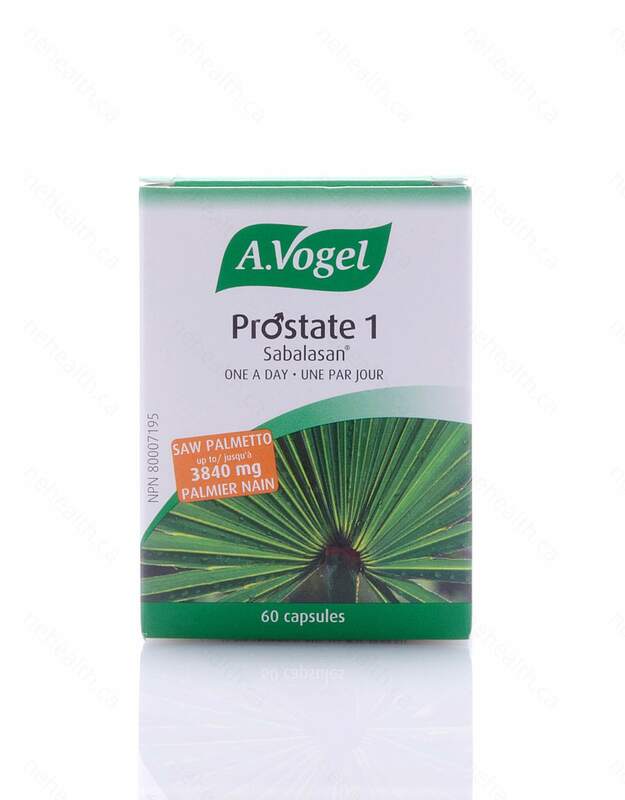 What Are the Key Health Benefits Associated with A.Vogel Sabalasan® Prostate 1? Benign prostate hyperplasia (BPH) is a problem affecting men starting from age 40. By the age of 50, 50% of men are affected and at age 80, 95% of men will have symptoms that include frequent bathroom visits, unable to empty the bladder and reduction in urinary flow and pain during urination. Contrary to popular belief, BPH is not a swelling (hypertrophy) but an increase in the number of cells (hyperplasia) in the prostate. Aside from surgery, no treatments can reduce the number of cells. However, the symptoms can be effectively treated and BPH progression can be reduced and even stopped. The clinical picture of BPH contains many elements including tissue inflammation, an increase of the estrogen/testosterone ratio and spasms of the urinary sphincters. 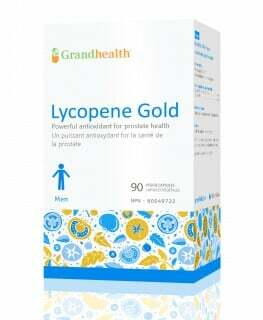 BPH is due in part to a transformation of testosterone into dihydrotestosterone (DHT), a hormone that is 10 times more potent, by the 5-alpha reductase enzyme. DHT is so potent that is stimulates prostate cell division. 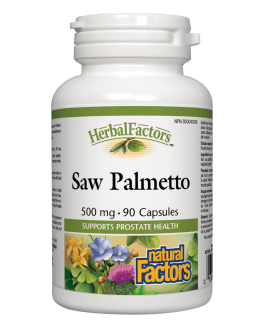 Saw Palmetto is by far the most studied and most effective medicinal herb to treat benign prostate hyperplasia symptoms. It contains many active components: some water soluble, like flavonoids, tannins and sugars, and some fat soluble, like carotene, sterols, fatty acids and fatty alcohols. These fat soluble molecules are demonstrated to be the most active in BPH treatment. The extracts in the studies were standardized to 80 to 95% fat soluble components. 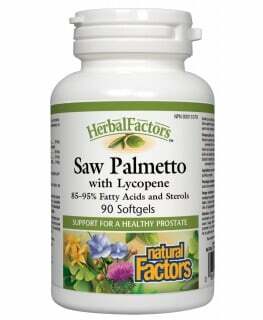 Saw Palmetto inhibits the 5-alpha reductase enzyme, therefore reducing DHT production and has an anti-inflammatory effect Moreover, Saw Palmetto has an antispasmodic effect that could improve urinary symptoms. 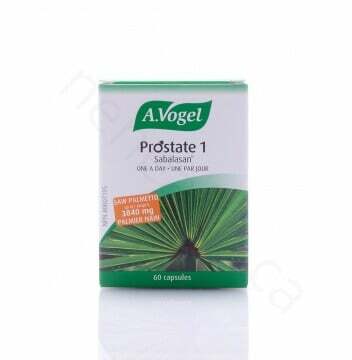 Sabalasan® Prostate 1 delivers a Saw Palmetto fruit standardized to 80 to 95% of these components in a convenient capsule form. equivalent to 2280-3840 mg of berries; and not less than 85% fatty acids. 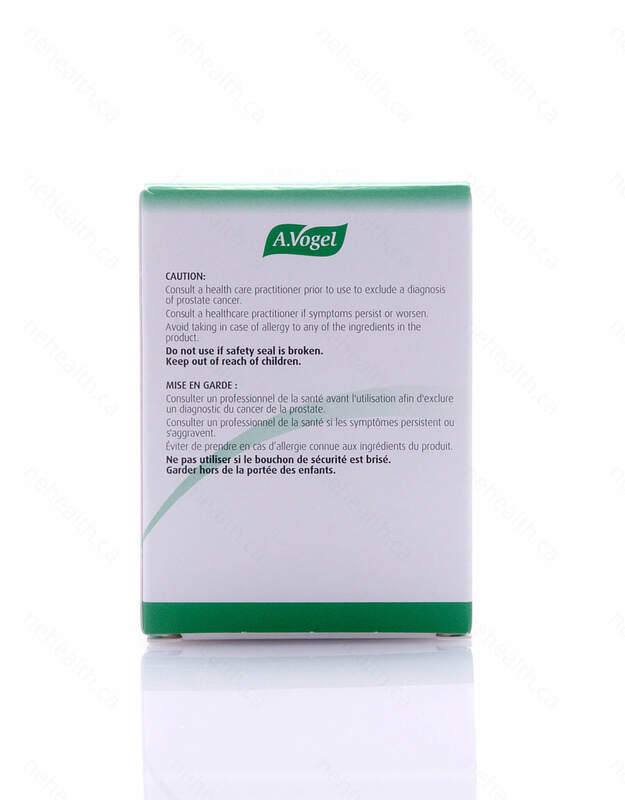 Non-Medicinal Ingredients (of the capsule): Gelatin , glycerin , purified water , sorbitol , iron oxide. Take 1 capsule once daily with water after a meal. Caution: Consult a health care practitioner prior to use to exclude a diagnosis of prostate cancer. Consult a health care practitioner if symptoms persist or worsen. 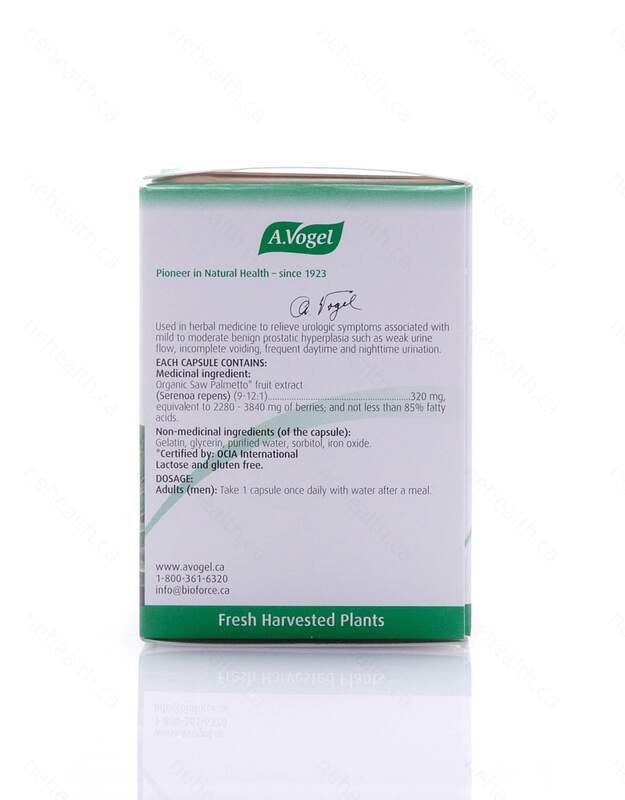 Avoid taking in case of allergy to any of the ingredients in the product. Dionne JY, Gazella KA. Protecting your prostate. Impakt communications 2000. Green Bay Wi USA.